Wolfhome is a two-dimensional graphical chatting site where members can use and create their own custom avatars to represent themselves. With a vast amount of natural environments to explore and canine-themed avatars to use, Wolfhome attracts many types of people. Along with its chatting component, Wolfhome accommodates roleplaying in distinct areas, and has a forum where users can discuss and share ideas, interests, as well as art! Wolfhome is the perfect place to immerse yourself in a new, mysterious and enchanting environment. Join our community, release your creative side and find a place to call home. ☾ Is Wolfhome considered a game? ☾ How do I use Deltas? ☾ How do I sign up for Wolfhome? ☾ What are the rules? ☾ What is the Wolfhome Forum? ☾ What if someone is bothering me? ☾ What is an administrator? ☾ Could I become an administrator? ☾ What do username symbols mean? ☾ Is roleplaying (RP) allowed? ☾ May I submit artwork to use? ☾ What are private rooms? ☾ How are the rules enforced, and what is the ban ladder? ☾ Can I report an issue offsite? ☾ Why can't I get into the chat? ☾ How do I report a bug? ☾ How do I report someone on chat? ☾ Can I rename or delete my account? ☾ What do I do if I get banned? ☾ How can I provide feedback? ☾ I have a question not listed here? Wolfhome is a two-dimensional graphical avatar chat, which can be used right through your internet browser! While on Wolfhome, you can portray yourself as your own virtual character and immerse yourself in a natural environment. You can use an avatar to interact with others by changing "poses" to express your mood or actions. Nope! Games have a set goal or multiple goals, which are often determined by playing in a setting that is either competitive-based, skill-based, luck-based, or strength-based. Wolfhome does not have a set goal, the only thing that Wolfhome has in common with a game is that they both have a set of rules. Wolfhome is considered a two-dimensional graphical avatar chatting site. Wolfhome is free to use. However, to access some of the website's premium features, you will need to purchase Wolfhome Deltas. Deltas (Δ) are Wolfhome's very own currency. You can use them for purchasing a Wolfhome subscription, buying art from Wolfhome artists, or other services found on Wolfhome. For more information, please read the FAQ on Wolfhome subscriptions and Deltas. Deltas can be used to purchase custom artwork on the Wolfhome Forum’s Market Place. If you have a subscription on Wolfhome, you can upload your custom artwork on chat. Wolfhome is a PG-13 rated Chatlands site for individuals who are thirteen years of age or older. This is to ensure that children are not exposed to content above their age level. All of the Rules of Wolfhome can be found here. We recommend that you read them before signing up for the site. 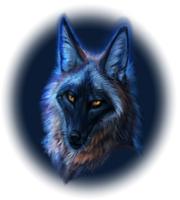 The Wolfhome Forum is where members of the site discuss ongoings of Wolfhome, share their artwork, roleplay, play games and talk to one another. The Forum is separate from the chat, and requires registration. Forum Administrators process forum accounts within twenty-four hours of the accounts creation. If someone is bothering you on Wolfhome, we ask for you to use the ignore feature in the chat. Once a user has been ignored, they cannot see you and you cannot see them. However, if someone is breaking the rules or keeps bothering you persistently, report it to a chat administrator. Check out the report tutorial to find out how to do this. An administrator is a Wolfhome user that helps others with the chat. Their usernames appear blue in chat rooms, and are also plainly viewable on the report list and The Mysts. They are essentially the peacekeepers of Wolfhome; their tasks are to help answer questions, solve problems and deal with rule breakers. Administrators are regular people who volunteer their time and efforts to help Wolfhome prosper. If you are above the age of sixteen, follow and have a strong understanding for the rules, frequently use the chat, and are very friendly, you might just get asked to become one. We currently accept both admin applications and user nominations. Each member of Wolfhome has a symbol next to their username. The Delta symbol ( ) signifies a regular chat member. Gammas ( ) are new members of the Wolfhome Administration. Their usernames appear blue in The Mysts. Betas ( ) are members of the Wolfhome Administration who have been moderators for a substantial amount of time. Their usernames appear red in The Mysts. Lastly, there are the Alphas ( ), who manage the day-to-day operations of Wolfhome. Wolfhome does allow roleplay in certain areas of the chat. These will be clearly marked for roleplay, or RP, before and when entering a chat room. Please be sure to read the rules of Wolfhome, as we have specific rules for roleplaying. Roleplaying is also allowed in certain areas of the Wolfhome Forum. To submit custom artwork for your own personal use, you are going to need a Wolfhome subscription. Based on the subscription level you have, you can upload a certain amount of pose(s), private room(s), and custom object(s). Once you have a subscription, you can upload artwork by going to the Body Shop, which is located in the middle of the Wolfhome map. From there, select "upload". It will bring you to what is known as the uploader, from there you can upload the desired pose(s), room(s), or object(s). Remember to check out the ART FAQ for guidelines on submitting artwork! Private rooms can be used by paying users of the site and the ratings of which can be controlled by the owner of said room. The Wolfhome Administration is not responsible for the moderation of privately owned rooms. The owner of the private room is responsible and in charge of what happens in said room. This means that when you enter another user’s room, you are subject to their rules. You should enter the private rooms of others at your own risk. Wolfhome uses what is called a ban ladder. If you break a rule, your account goes up a rung on the ladder. The more offences you commit, the harsher the punishment. In most cases you will receive only a reminder or warning for a rule violation, though there are some rules that call for automatic bans. Warnings and reminders will be sent either in a chat PM or message, and bans will be sent as a chat message and e-mail. 1st infraction: Reminder - A reminder is given for the first offence you commit or the first offence you commit after your previous probationary period. Please note that this doesn't apply to offences that automatically result in a ban; reminders are only given in place of infractions that would result in a warning. 2nd: 1st Warning - You will receive a first warning for breaking a rule within two months of receiving your reminder. 3rd: 2nd Warning - You will receive a second warning for breaking a rule within two months of your first warning. 4th: Naughty Gram ("NG"/E-mail warning) - An NG or naughty gram is a warning message that is both e-mailed to you and sent through chat message. You will receive it if you break a rule within two months of your second warning. These are sometimes coupled with in-chat warnings as we try to diffuse the situation as it is happening before realizing you are due for an NG (it takes a few minutes of investigating on the forum). The warning given at this time and the NG are coupled and do not count as two strikes against your account. 5th: 12 hour ban - A 12 hour ban is issued if you break another rule within two months of receiving an NG. 6th: 3 day ban - A 3 day ban is issued if you break another rule within four months of receiving a 12 hour ban. 7th: 1 week ban - A 1 week ban is issued if you break another rule within four months of receiving a 3 day ban. 8th: 2 week ban - A 2 week ban is issued if you break another rule within four months of receiving a 1 week ban. 9th: 1 month ban - A 1 month ban is issued if you break another rule within six months of receiving a 2 week ban. 1 month bans have a refresh rate of six months. Permanent ban - Permanent bans are only issued if you break a rule that immediately results in a permanent ban. You do not work your way to a permanent ban on the ban ladder. They have a refresh rate of six months. You may be asking yourself: What are refresh rates and the probationary period? Refresh rates are the amount of time it takes for an infraction to fall off of your record. After it has fallen off, it no longer counts against you and is viewed as old and irrelevant. This means that if you were banned for one month and then seven months after you were released you committed another infraction, you would not be banned again. Your ladder has reset and you are on the first step, which is a reminder. It is based off the most recent prior infraction you have. Probationary periods are technically the same thing, but are used to describe a user's placement on the ban ladder. If a user is currently in their refresh period, we state that they are on their probationary period. If they break rules during this time, they move up a rung on the ban ladder. It is important to know that while you are banned your probationary period does not progress. It would simply go on "vacation mode" while you are banned until you are released. For example: User A earns their 1 month ban. They come back, are two months into their probationary period, and commit another infraction and get banned again. Their probationary period is 2/6 months completed and will not progress to a third month while they are banned. Therefore, when they come back from being banned for the second time, their ban ladder will still be at 2/6 months, even though in reality 3 months have passed. The Administration will be handling off-site harassment that stems from our forum or chat. We will only be handling cases that have sufficient evidence to pin-point offenders. Please make sure that you gather as much information as possible when reporting off-site bullying or harassment to an administrator. If the harassment does not stem from Wolfhome, we will not handle it. Please contact the relevant website's administration if you are experiencing harassment off-site. Make sure you have the most up to date version of Adobe Flash Player. There might be a firewall installed that blocks Wolfhome; some home computers, schools, libraries, public Wi-Fi points or businesses use this for additional security. Try clearing or deleting the cache and cookies from your internet browser's options. Currently, Wolfhome is compatible with Internet Explorer, FireFox, Google Chrome, and Safari. Please make sure all of your internet settings and browser settings are correct and up to date. If you are still facing technical difficulties, please make a post in the Chat & Forum Technical Support or open a Problem Ticket and the Technical Department will look into the issue. If you think you found a problem on Wolfhome, please let us know! You may contact an administrator on chat, or alternatively fill out a Problem Ticket. Please be sure to give as much information as possible when reporting a bug! To report an issue you are currently experiencing on Wolfhome, click the Report button, located on the bottom left-hand side of the screen. The Report button shows you a list of all the on duty Administrators on the site. When you report an issue, please remember to save the chat logs so they can be copied into a Wolfhome Message and sent to the Administrator. Chat logs, which can be found in the bottom right-hand corner of the screen, located in the black box, provide evidence of the issue at hand. It is very important that these are saved so the Administrator can properly deal with the issue. If there are currently no Administrators on duty, please fill out a Problem Ticket and provide the chat logs of the situation. To rename your account, go to the map on the left-hand side of the screen. Under “My Account”, there should be the option to rename your account. If you wish to delete your chat account, you can do so through the map; on the left-hand side of the screen, you should see a control panel that gives you the option of deleting your account. Please note that the Administration does not place bans on accounts per request. Rule violations such as threatening to kill another user will immediately result in a permanent ban being placed. Upon receiving a permanent ban, information will be sent to your e-mail address regarding why you were banned and how you can properly appeal it. A permanent ban from the chat will result in a permanent ban from the Wolfhome Forum as well. Appeals for bans can be sent to the Wolfhome Administration through Problem Tickets. When your appeal has been submitted, the Wolfhome Administration will discuss it and an Alpha will respond back to you once a decision has been reached. If you wish to appeal a ban, be sure to wait a full month after the incident has occurred. Appeals created before one month has passed will not be considered. If your appeal is denied, you are more than welcome to send in another Problem Ticket to appeal your ban after another full month has gone by. At that time, the Wolfhome Administration will reopen discussion regarding your ban. Please remember, we have the appeal process in place in order for users to argue their ban civilly if they feel it was not warranted or to apologize for past mistakes if necessary. If a ban appeal is not civil, it will be considered harassment. Ban hopping is when someone is currently banned from Wolfhome, but attempts to use or create another account. Attempts to bypass a ban will result in the new account being banned as well. Each time someone attempts to ban hop, the length of the ban will increase and can eventually lead to a permanent ban. If you have feedback for us, we'd love to hear from you about how we're doing, or take suggestions for new features. We need your help to make this the best chat that it can be! All we ask is that you give your thoughts politely and respectfully, even if it's criticism. You can post in our Suggestions section, you can email Underdog, submit an anonymous survey, or you can speak with any available Administrator about your ideas or opinions. If you would like to know more about Wolfhome before registering, please e-mail your questions to underdog@chatlands.com. Or if you have any suggestions or concerns after you have registered, you may contact an administrator through the chat or Forums. Wolfhome is brought to you by Underdog: Website co-owner and web developer. Copyright (c) 1999-2017 wunderwood LLC.